OUT OF THE WORLDWIND to Europe. 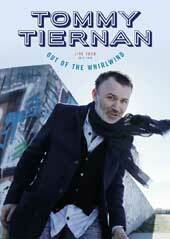 TOMMY TIERNAN:OUT OF THE WHIRLWIND is literally a whirlwind of TOMMY’S thoughts and observations. Its material that polarizes the every-day ‘nonsenses’ of life that surrounds us all. inspirational and most importantly breathtakingly funny. harder than you’d ever believe possible. 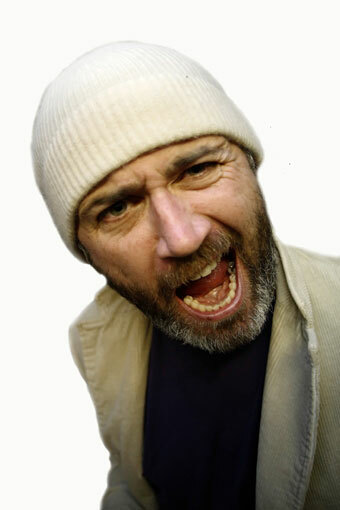 "Has a comic ferocity resembling that of Billy Connolly"
One night two shows !!! 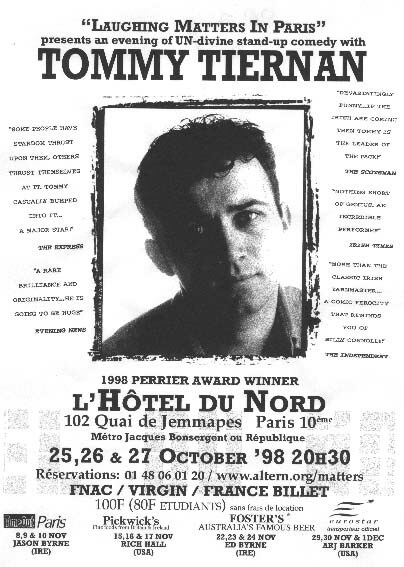 after his outstanding performance at the Hotel du Nord in 1998 & 2001. 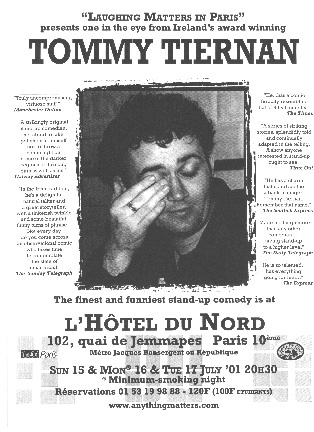 When Tommy phones up to ask if he can do a show in Paris you don't say no, even if only a couple of weeks before there is another Irish superstar, Ardal O'Hanlon, appearing atlLa Java. Well that's the price you pay when you nook the acts at the last minute. Just when you are wondering who could be available on Ascension day, the phone rings and out tumbles comedy mannah from heaven ! 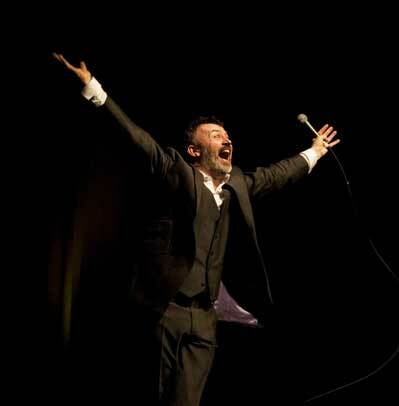 Award winning Irish comedian Tommy Tiernan returns to Paris after his outstanding performance at the New York Irish Comedy Festival. 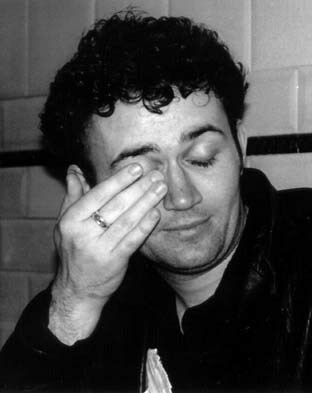 Tommy made a huge name for himself by winning the 1998 British Comedy Award and the Perrier Award at the Edinburgh Comedy Festival in 1998 which led to appearances in a series of Movies including; "The Matchmaker" in which he co-starred with Denis Leary and Janine Garofolo. 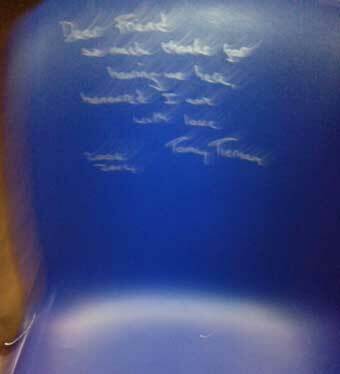 At present, Tommy is following his acclaimed B.B.C. 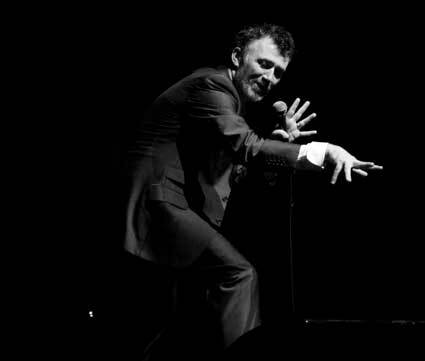 Comedy Special with a sell-out British tour and will be co-starring with Hollywood's golden girl, Kate Hudson, in the upcoming movie," All About Adam". 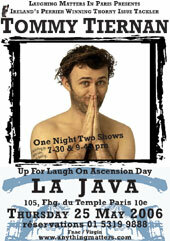 Tiernan's act takes us on a journey filled with off-beat twists, hysterical stories and brilliant one-liners. Whether vividly reliving childhood memories or sharing his acute observations of the world at large, his unique mixture of honesty and originality guarantees that there is no other performer like him.